Cover Design by Amy Beth Bolden. If you’ve read up about me on my website, you’ll know that I have a background in graphic design & advertising. Before moving to Colorado, I made a living designing advertisements for a corporate newspaper, built regional magazines, and even created billboards for museums, banks, and regional events. It’s true. Check out my old design portfolio on Behance. 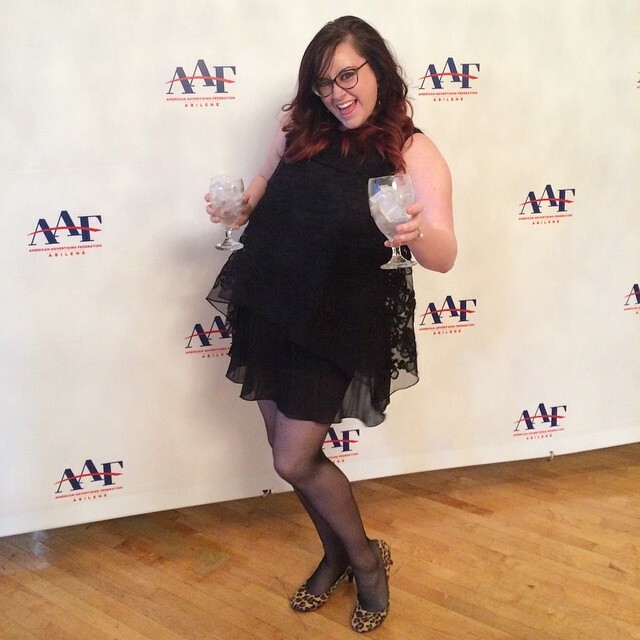 This was me in 2015 at the ADDY awards while working in Corporate as a Graphic Designer. With this background, I’ve learned enough about the goal of what advertising is used for: making money. Companies are getting smarter about how to advertise certain ideas and labels to us that may or may not be truthful. Most of the time we don’t even notice. Qualifications like, “non-GMO,” “Organic,” and “Natural” have blinded us to the fact that most of what’s behind that cardboard box or plastic wrapping is fake, cheap, & easy. Those definitely aren’t labels I’d tag as descriptions of my husband, nor the kind of lifestyle I want to lead. I decided to go undercover to rediscover the meanings on these popular labels slapped on products you see all over US groceries stores so we could understand what to be aware of. Keep in mind, non-GMO is a claim that is loosely regulated… which means it’s not promising, at least according to US Standards. There are currently moves to make this label a requirement on all foods, GMO & Non-GMO alike. Anything that says it’s non-GMO is also considered organic. Which leads to my next definition. When you hear this word, do you think that your food will be automatically healthier, or do you question if it’s even worth the money? This means that non-gmo seeds were used in soil free of synthetic chemicals and additives. However, this does not mean that organic foods are pesticide free. Organic certified farmers are only allowed to use pesticides up to the government’s organic standards. This is a overused word marketers use to depict a “fresh” product. If you ask me, I don’t think there’s anything natural about consuming food that comes in plastic or cardboard packaging. A food that is natural is a food that has undergone a minimum of processing or treatment with preservatives. 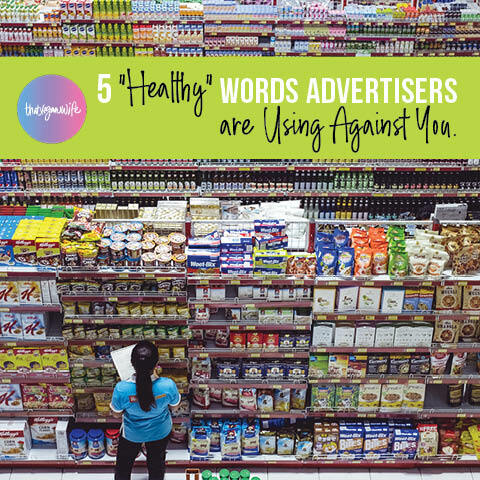 However, advertisers pull the rug from underneath you by claiming that parts of their product are natural while including some of those GMO, high calorie ingredients they failed to mention. It’s confusing to call a food natural if it still has high-fructose corn syrup in it, right? If someone tells me those Nature Valley Granola Bars are healthy one more time, I just might hurl. Sorry, General Mills, but 11 grams of added GMO sugar does not qualify for a healthy breakfast, it just creates a sugar rush, crash, & burn. Don’t be fooled, vegan food can be just as unhealthy than most people believe, too. So, what does healthy actually mean? Healthy Eating means eating a variety of foods that give you the nutrients you need to maintain your health, feel good, and have energy. These nutrients include protein, carbohydrates, fat, water, vitamins, and minerals. Where are you going to find those sort of foods with the variety you need? Whole foods like fruits, vegetables, whole grains, seeds, nuts, and legumes. There are many “healthy” options to choose from and make from these whole food sources. Something that is claimed to be “sugar free” is required by FDA to contain less that 0.5 grams of sugar. However, what has happened is companies who claim their sugar-less eats are often using substitutes instead. I’m talking, sucralose, aspartame, maltodextrin, and even sacharin. Popular items like Pedialyte, Splenda, Yoplait, and even Orville Redenbacher’s Popcorn are known to contain these chemically harmful substitutes. I have always believed that ignorance is bliss, but in the line of health: ignorance is ignorance. Maybe you weren’t taught these truths surrounding food and have a lot of learning to do like me, or maybe you enjoy being blind to the fact so your taste buds are satisfied. Either way, the truths still remain that whole foods are best and processed foods are not. You won’t find many of these misconceptions surrounding whether broccoli is healthy for you, I promise. If you’re like me and need help in learning the How-To’s of switching over towards a greener & more sustainable lifestyle, check out the Realistic Holistic 6 Week Course or schedule a FREE consultation with me. I’m here to walk you through this.